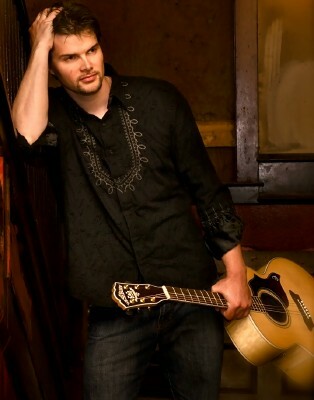 Jared Lutes from Moncton, N.B., is a full time Folk/Pop/Singer/Songwriter. 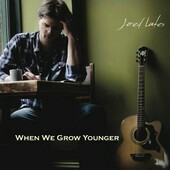 He just released in November 2012 his new CD entitled, WHEN WE GROW YOUNGER . The album contains 12 songs, all written by Jared. The CD has taken Jared quite some time to put together his writings, but it certainly has paid off to the delight of his fans. While writing, he was truly inspired by his young son Isaiah. As he is watching him grow, he kept looking back over his own life growing up, his family ties and the discovery of truths-both harsh and joyful. The CD is an anecdotal celebration of the challenge of life's ongoing journey, and so could not have been accomplished any sooner. The CD was recorded, produced and mixed by Jon Arsenault at Woodenstool Productions. Jared is a very talented performer and has his audiences in the palm of his hand at his live performances. According to John Gavin of Atlantic Seabreeze, Jared has an amazing voice and he reminds me of Ron Stewart, with his smooth and relaxing voice with his band who are top notch musicians, performing to rave reviews. With this new CD, When We Grow Younger, will certainly give Jared a boost to his career and set him up to many music award nominations and awards. For more information regarding Jared and his music, refer to his website, address posted above.